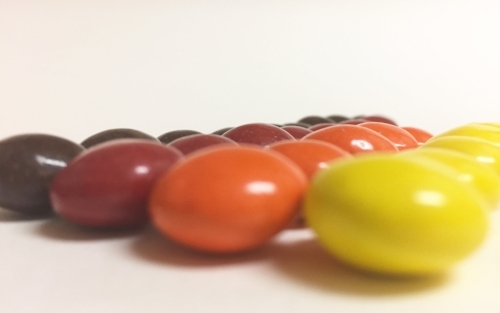 The first thing you should probably know about me — a natural organizer — is that I sort my M&Ms in rows by color before eating them. In fact, I am unable to eat multi-colored, hard shelled treats without first lining them up by color and observing the frequency distribution. The second thing you should know is that, at heart, I am a snail. I have a restless spirit, and move at a measured, deliberate pace. Deeply curious about the world, I seek variety and new experiences, and I like to travel light. Why do you need to know these things about me? To understand that I am always working to comprehend not only what is, but also what else. My process has always been an interplay between logic and creativity. Critical thinking and thoughtful inquiry lead me to look beyond the surface question to identify the deeper issue. Finally, it is a sense of connection to all things and a desire to be a force for good in the world that drive me. It is my belief that the objects in our lives should bring us happiness or make our life easier. Preferably both. I believe there is too much ugliness, waste, and need in the world, and I want to help create opportunities for people to live happy, healthy lives.